The Italian leg of our EU road trip consisted of Lake Garda, Tuscany, Rome and Cinque Terre as we made our way back to Antibes. After leaving Lake Garda we drove through Vicenza where I was born and had a failed attempt to find the house we lived in, Via Brunori 24. I left that house at an early age of 2 and only visited it once when I was about 11 – so my memory was vague to say the least. Being back on that street and trying to find the house, I was flooded with an inexplicable wave of emotion. I felt sadness, longing, desperation to find it and send the right photos back to my father, mother and brother, and pride for being born here and having lived in the quaint little village of Monteviale. I searched for the rooftop my brother snuck out from, imagined my mother walking down the street with me on her chest, and scanned the roads imagining my father on his daily commute. Connected yet incomplete in being there without them, and having not been able to definitively identify the house, we left Vicenza. It was an odd pilgrimage of sorts and I feel the need to return with my mother or brother to feel complete. After pulling myself together and grabbing some paninis for lunch, we journeyed south to meet my mom and her friends at the Villa we rented in Castellina in Chianti, about 30 min from Siena. We stopped at the little town market before heading to the villa and in the middle of the grocery aisle, who did I ran smackdab into? MOM! We hadn’t seen each other in over two months and the other shoppers must have thought we’d been lost at sea we put on such a display of reunion. We spent the next week exploring the Chianti road, Florence and Siena, drinking delicious wine, cooking fabulous meals, and frolicking through the Tuscan countryside. Italy never disappoints! Stay – Querceto Winery and Villa From 2-30 people, they have villas. 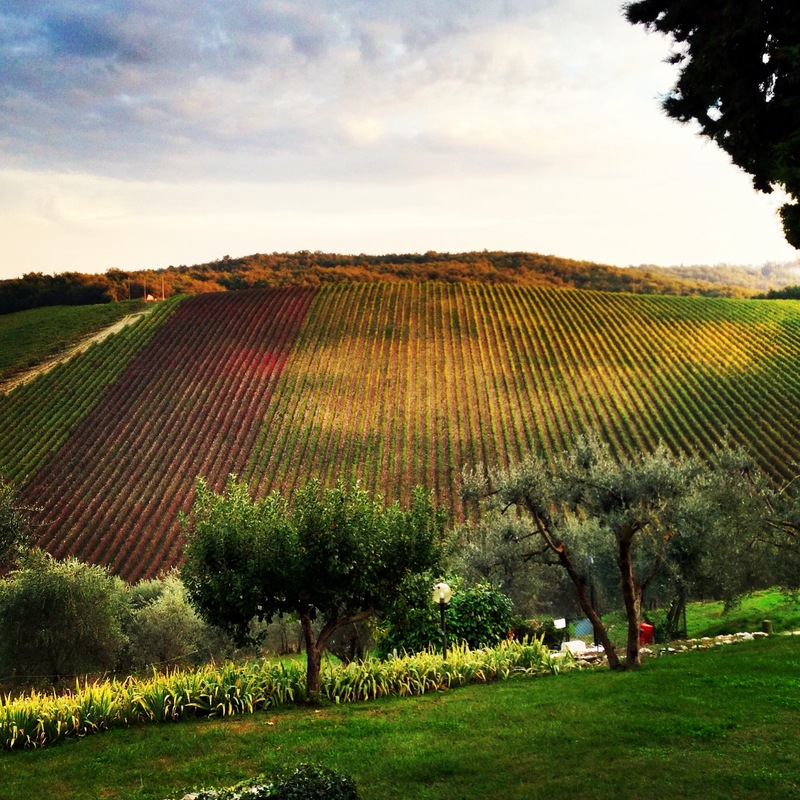 Drink – Wine tastings on the terrace Querceto and in the hilltop town of Volpaia. Stunning views and great wine. Chianti Road – Badia a Cultibuono (get the wild boar ragu) or the either of the restaurants in Volpaia. I’m partial to the little one on the square, great Sauvignon Blanc and antipasto platter (all cheeses are pecorino! yay!). The main restaurant has a lovely terrace with view and shade as well. Siena: Pasta with wild boar ragu, anywhere you can get it. May only be available around October, ah-mazing. Florence: La Spada. Neighborhood restaurant, not touristy, AMAZING food, reasonably priced. Thanks for the tip Katy! See – The butcher of Panzano! See video below for a taste of this experience. Markets on Sundays in the main square of Panzano. Great wine deals at the shop off the square, look for the gorgeous Italian woman with a big mane of corkscrew curls. Yes !! We had such a great time and it was sooooo good to see you both! 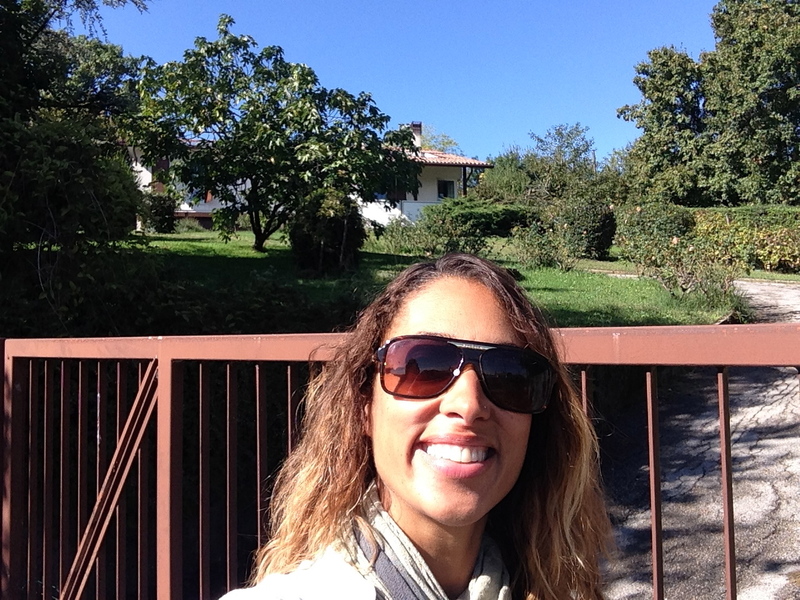 AND…… drumroll please….. the house you are standing in front of in Monteviale IS the house we lived in when you where little !! This made me so happy for you. I love you mother’s last comment above.